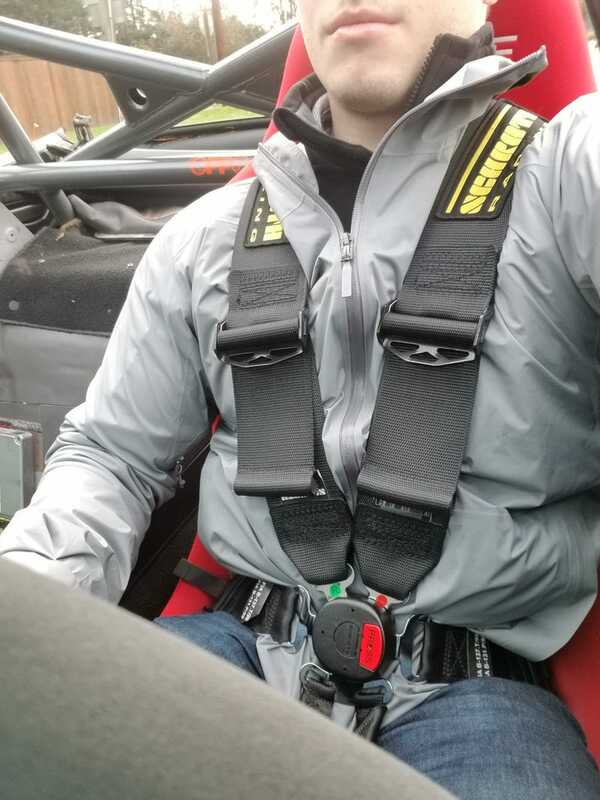 Daily driving with harnesses in the Miata for two years. Added the sub belt 6 months ago to jump up to a 6-point system. Regrets? None. Schroth makes one hell of a harness. I’ve tried what seems like a million different harnesses over the past year—in everything from my beater Miata to stripped, caged Porsches—and I keep coming back to Schroth’s Profi II ASM FE. My lap belts are 2" and a pull-down configuration. With the way they’re routed through the seat, you actually pull up to tighten them. Super simple. Shoulder belts are 3" and again, couldn’t be easier to adjust and get comfortable. These belts incorporate a small sewn-in patch on one shoulder belt, that upon impact will break apart and loosen, allegedly greatly reducing the chance of submarining, and mitigating whiplash, which has long been the main factor against running harnesses on the street. Client testimonials seem to indicate that Schroth isn’t just bullshitting here, that said... I hope to never test it. Because of that system, and the red camlock button, this is (one of?) the only Dot-approved harness(es). It’s also the only 4-point harness that will be allowed on most tracks. That said... Buy a sub strap. While it may sound like an oxymoron, converting to 6-point brings the comfort level up substantially. It’s much easier to get the lap belt to rest properly with the sub belt, and you don’t need to adjust as much to account for different thicknesses of whatever clothing you may be wearing. Things I don’t like? The cost. They were already on the expensive side ($320ish for the 4-point ASM) but they raised the prices significantly in the past year to around $500. And then another $100 or so if you want the sub strap. You can buy a budget 4-point for $100 all day and hate yourself dealing with the miserable camlock, or spend not much more for a budget 6-point harness. Add in the cost of seats, brackets, mounting points, etc. And you’ll be quite far into the 4 digits, and that’s assuming you install everything yourself. Which you should, because wrapping harnesses is probably the most fun you can have in a car without it moving. It’s almost enough to offset the torture that is trying to center a racing seat to the steering wheel by beating in the transmission tunnel.